The Green Bay and Western Railroad, or "Green Bay Route," was a small, 250-mile system serving its home state of Wisconsin between Kewaunee and Winona, Minnesota. For many years the GB&W operated successfully as a bridge line, maintaining a profitable car ferry service across Lake Michigan in conjunction with Michigan's Pere Marquette and Ann Arbor. After this business vanished the company struggled before its acquisition by regional-startup Wisconsin Central during the early 1990's. 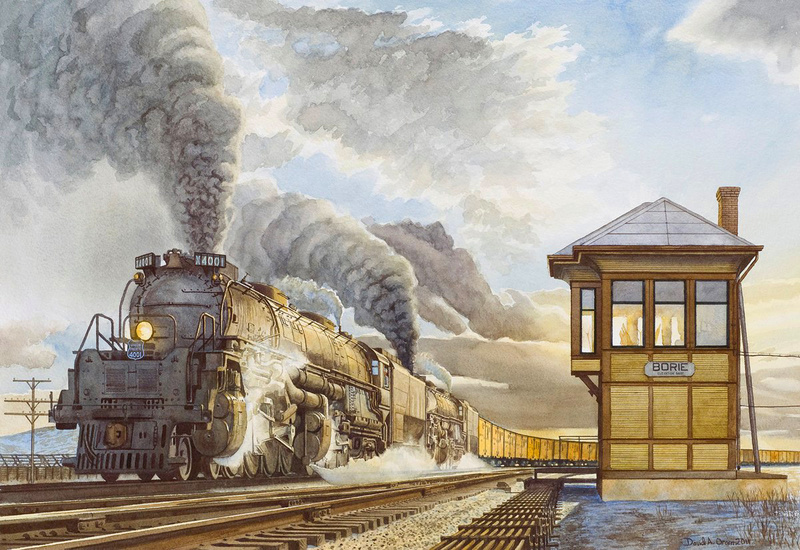 During its formative years, GB&W's predecessors attempted to piece together a formidable Midwestern system reaching Omaha and the Twin Cities thanks, in part, to a surprising ally, the Delaware, Lackawanna & Western. The wealthy eastern anthracite road tried to establish the so-called "Great Through Route" linking New York City with Omaha via southern Ontario, Lake Michigan, and the GB&W. Unfortunately, the financial Panic of 1893 killed the grand plan and the Green Bay Route settled into a regional role, surrounded by much larger giants like the Burlington, Milwaukee Road, and Chicago & North Western. 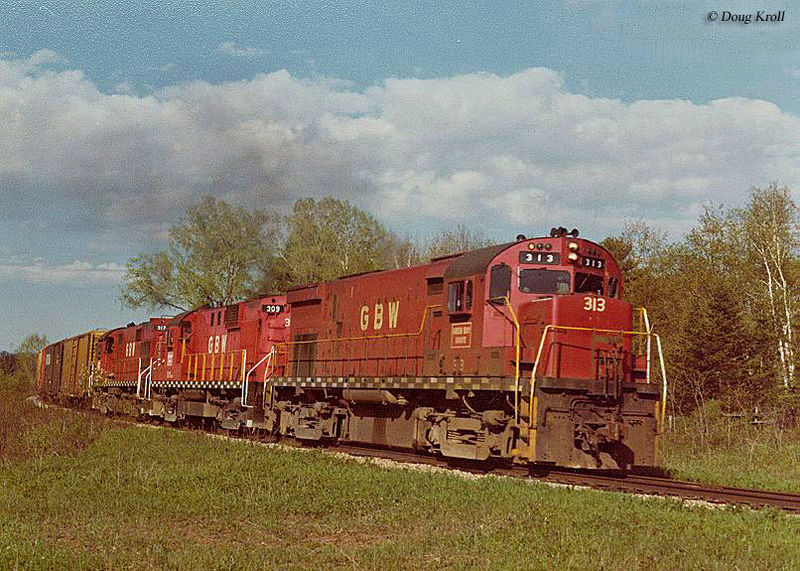 Following its takeover by the Wisconsin Central, much of the GB&W network was abandoned. The heritage of the Green Bay & Western can be traced to a time when Wisconsin saw great promise in an intrastate canal system running from the Mississippi River to Lake Michigan via Green Bay. During the early 19th century these waterways were seen as the future in transportation moving agriculture, people, and other goods at speeds considered quite respectable for that time. By the immediate post-Civil War era the Green Bay & Mississippi Canal Company had established just such a network. However, like all such ambitious projects, the Wisconsin system was dashed by the railroad. The Green Bay Route's earliest predecessor was the Green Bay & Lake Pepin Railway (GB&LP), incorporated on April 12, 1866. As its name implied it intended to link Green Bay with a point along the Mississippi River. At the time this port town, located along the bay for which it is named (and situated at the confluence of the Fox River), was a growing industrial center based in agriculture and wood products (timber/paper). Railroads are expensive undertakings and even as towns clamored to have one of their own financial assistance was often difficult to procure. Such was the case with the GB&LP; without backing from a wealthy eastern syndicate the railroad had to rely on local communities for help. As a result, its right-of-way followed the money. Minneapolis, St. Paul & Sault Ste. Marie, "The Soo Line"
Regular service directly into New London commenced the following January when a bridge was finished over the Embarrass River. Following this event, work continued towards a western interchange with the West Wisconsin Railway (future component of the Chicago, St. Paul, Minneapolis & Omaha, later acquired by the Chicago & North Western) at Merrillan. Doing so would provide through service into the Twin Cities and traffic flowing eastward from the Upper Midwest's bountiful agricultural centers (notably grain). By November 7, 1872 rails had reached Grand Rapids, just east of Wisconsin Rapids along the Wisconsin River and on January 1, 1873 trains rolled into Merrillan for the first time. Unfortunately, further expansion was delayed by the Panic of 1873 which hit in September. This also caused the company to enter receivership and its reorganization as the Green Bay & Minnesota (GB&M). When construction resumed, Winona won the much coveted bid as the Mississippi River connection. In December, service opened to Marshland and a junction with the La Crosse, Trempealeau & Prescott Railroad (another C&NW predecessor). From this location, GB&M achieved trackage rights over LaCT&P's Mississippi River Bridge into Winona (The railroad gained direct entry into this town some years later. On July 14, 1890 the Winona Bridge Railway Company was incorporated, a joint venture between subsidiary Winona & South-Western [W&S-W] and Chicago, Burlington & Northern [CB&N]. It opened for service on July 4, 1891.). This location also offered interchange along the west bank with the Chicago, Milwaukee & St. Paul (predecessor of the Milwaukee Road). More than a decade later another connection was established with the Chicago, Burlington & Northern (subsidiary of the Chicago, Burlington & Quincy) when that road completed its Chicago -Twin Cities extension in the summer of 1886. By reaching Winona most of the modern Green Bay & Western was in place. Interestingly, its continued expansion westward is often not known. 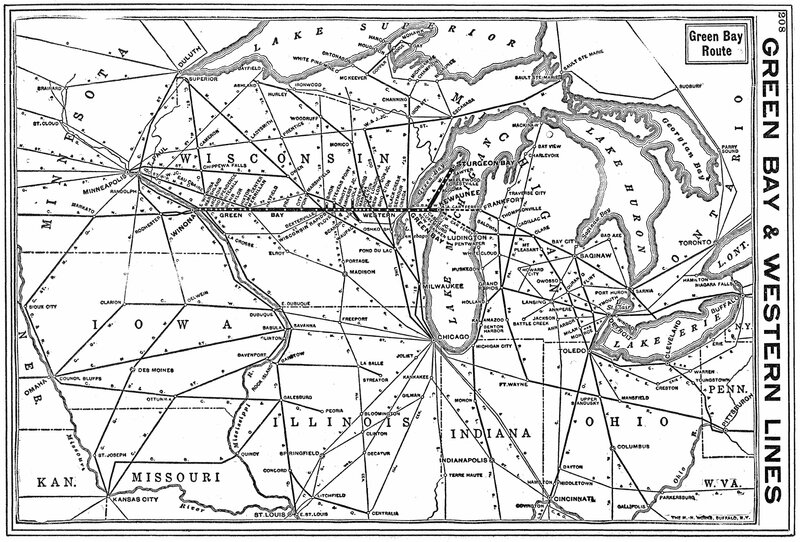 After reaching Winona, the GB&M embarked on three additional extensions; southwestward towards Omaha (and a much-sought connection with the transcontinental Union Pacific), northwesterly into the Twin Cities, and finally south due south to La Crosse. If these endeavors had been realized the GB&W likely would have established itself as one of the premier Midwestern grangers. However, only the La Crosse corridor was ever realized. This extension opened on September 25, 1876, over which the GB&M owned just 6 miles between Onalaska and La Crosse. The rest (23 miles) was via trackage rights over the C&NW. Following the company's reorganization in 1896 this stub was spun-off and later abandoned. These early years were difficult; while the GB&M's agricultural business grew (in addition to some coal, timber products, and less-than-carload freight), earnings remained flat. The company failed again on April 3, 1879 and was purchased by John Blair on January 20, 1881 for $2 million. It was then renamed as the Green Bay, Winona & St. Paul Railroad (GBW&StP) with a desire to finally reach the Twin Cities directly. Blair held ties with the Lackawanna, which gave the anthracite carrier indirect control. Two of the less noteworthy developments during this time included construction of the 2.23-mile spur from Wisconsin Rapids to Biron and the opening of a short 5-mile line from Plover to Stevens Point. The latter was built as the Green Bay, Stevens Point & Northern Railroad (GBSP&N) formed in 1881. 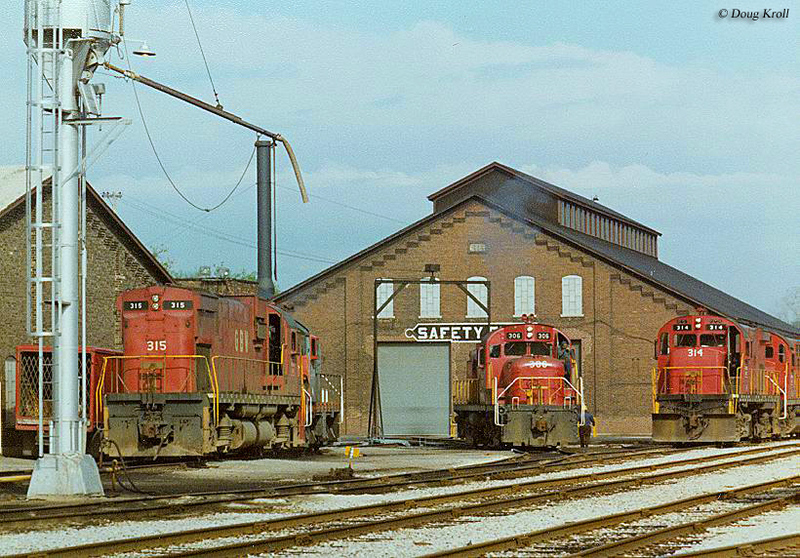 While the ultimate goal of Wausau was never realized, the branch (opened later that November) did handle wood products that provided substantial feeder traffic. Unfortunately, DL&W's oversight ultimately achieved little in the way of its ambitious "Great Through Route." The Twin Cities extension never made it beyond survey work, the La Crosse extension was a bust, and another receivership occurred on March 23, 1885. The Ahnapee & Western Railway was an interesting operation, a wholly-owned but separate entity of the Green Bay & Western. The project was pushed by wealthy businessman Edward Decker who wished to see direct rail service established between Green Bay and Sturgeon Bay. The A&W was incorporated on August 18, 1890 and built at around the same time as the KGB&W. It ran south from Sturgeon Bay and reached Ahnapee (later renamed Algoma) along Lake Michigan before interchanging with the KGB&W at Casco Junction. The entire line was opened on July 23, 1894 following completion of the swing-span bridge across Sturgeon Bay. Traffic was consistent with what one might expect on a short Midwestern branch, agriculture (cherries, hay, peas, grain), local passenger service, and less-than-carload movements. Due to its local nature, trucks siphoned away traffic from an early period and the property was spun-off as an independent on June 1, 1947 carrying the same name. The A&W retired its steam locomotives soon afterwards with arrival of two General Electric 70-tonners on February 8, 1953. As the years passed the short line's traffic situation worsened. Unable to afford repairs to the swing bridge the structure was embargoed on August 8, 1968. 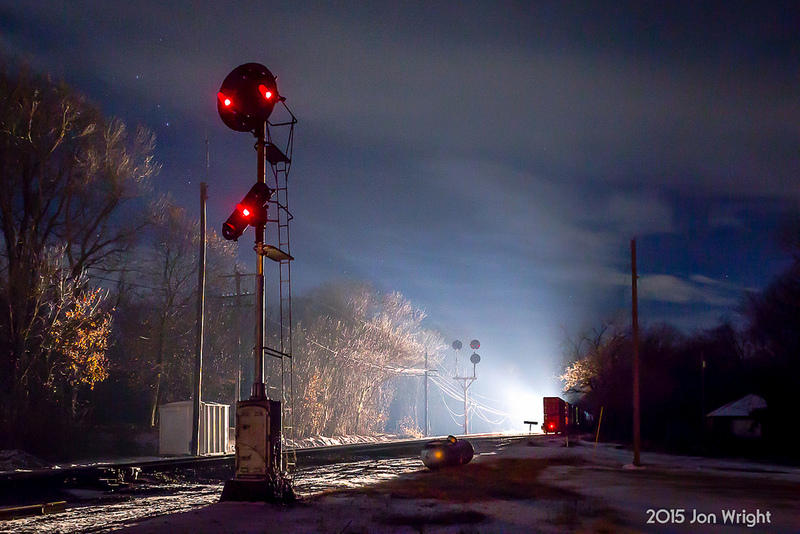 This resulted in the entire line's abandonment north of Algoma. Ironically, when Itel acquired the GB&W it also picked up the remaining 13.75 miles of the A&W. 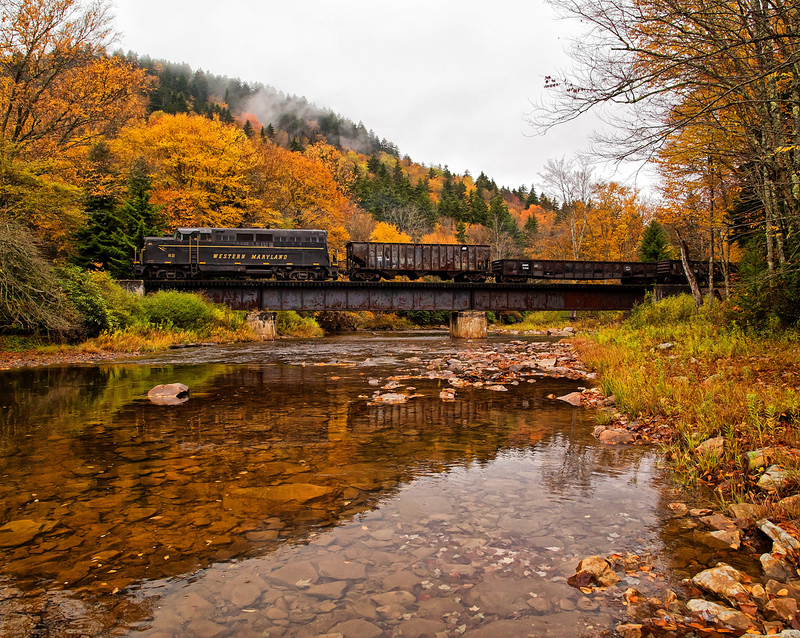 The trackage remained in operation until March 25, 1986 when the final train departed Algoma. A few months later, on May 27th, the A&W filed for totaled abandonment and today the right-of-way is part of the Ahnapee State Trail. Surprisingly, the planned Omaha line did advance much further than one might imagine. Several surveys were carried out but the general alignment envisioned reaching Fort Dodge, Iowa via Mason City with branches extending westward to Sioux City and southwesterly into Omaha. The endeavor was built as the Winona & South-Western Railway (W&S-W) and once owned by the city of Winona. 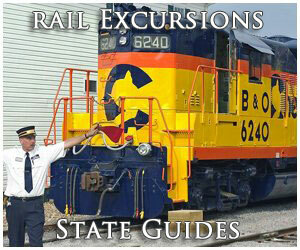 Its began as the Winona & La Crosse railroad of 1856, intended to link its namesake towns. The charter remained shelved for a decade until renewed interest occurred under the GPW&StP in 1887. With financial support via Lackawanna interests, service opened to Osage, Iowa on August 7, 1891 via Mason City, Iowa along a circuitous route linking St. Charles and an interchange with the Chicago, St. Paul & Kansas City Railroad (predecessor to the Chicago Great Western) at McIntire. The ability to serve the Hawkeye State had also required a new railroad to fulfill legal obligations, the Winona, Osage & South-Western Railroad formed in May of 1890. As it turns out, Osage proved the W&S-W's furthest western reach. 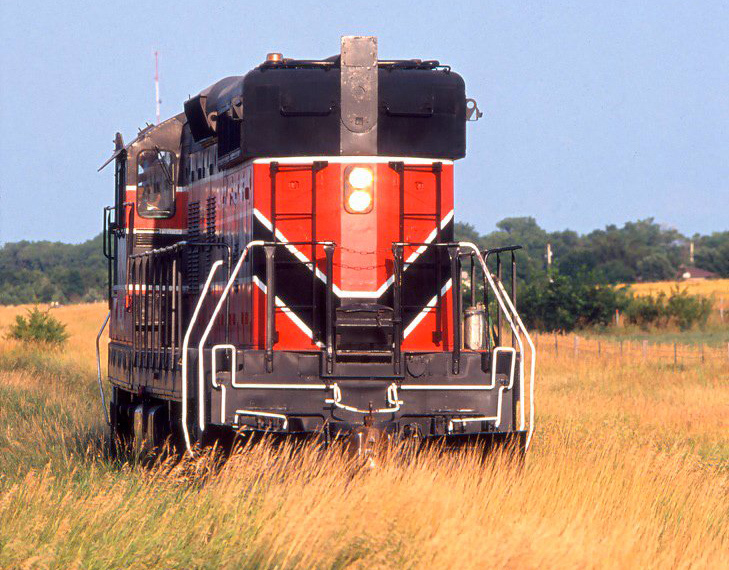 The railroad attempted to purchase the Mason City & Fort Dodge (future component of the CGW) and Sioux City & Northern (controlled, and later acquired, by the Great Northern) but neither was willing to sell. Then, the financial Panic of 1893 hit and the entire idea collapsed. In 1895 the W&S-W was sold to the CGW, ending DL&W's dream of the "Great Through Route." After more than a decade mired in receivership the GBW&StP was finally sold at foreclosure on May 12, 1896 and reorganized as the Green Bay & Western Railroad. The GB&W officially launched on June 10th and for nearly a century its name remained unchanged. 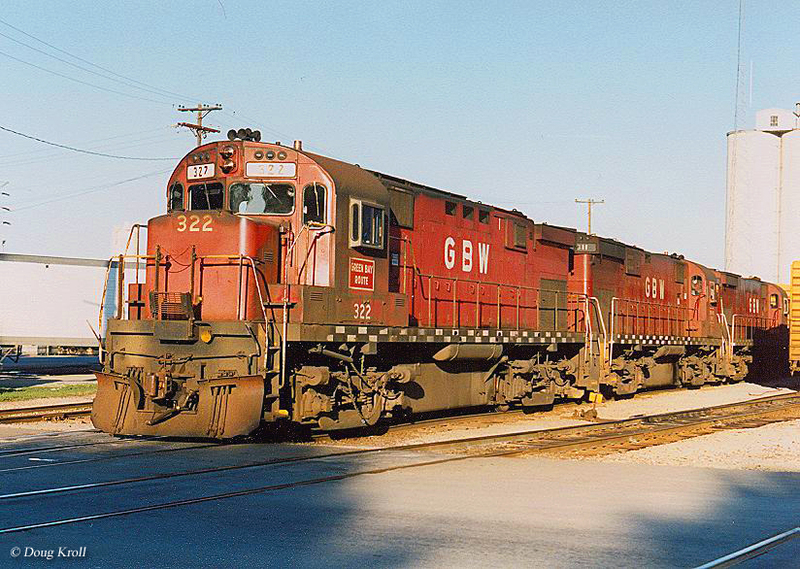 Shortly before its formation the GBW&StP had constructed a subsidiary which proved vital for the Green Bay Route; the Kewaunee, Green Bay & Western Railroad (KGB&W). It was organized on March 12, 1890 and constructed, in part, thanks to William Cargill (founder of Cargill, Inc., his company remains one of the largest agricultural corporations in the world). With a rapidly expanding business across the Upper Midwest, he yearned for competition against James Hill's St. Paul, Minneapolis & Manitoba Railway (GN's predecessor), which was dominating market rates. The KGB&W was constructed relatively quickly; heading east from Green Bay it reached Lake Michigan at Kewaunee on October 21, 1891 (a distance of nearly 37 miles). Here, slips were built which established car ferry service in conjunction with the Toledo, Ann Arbor & North Michigan (Ann Arbor) at Frankfort, Michigan (a Pere Marquette partnership was later added via Ludington, Michigan). The KGB&W would remain a separate corporate entity until June 1, 1969. With an established Great Lakes service and support from Cargill the GB&W began turning a profit by the early 20th century. The railroad made two final acquisitions during the World War I era, the Iola & Northern (I&N) and Waupaca-Green Bay Railway (W-GB). 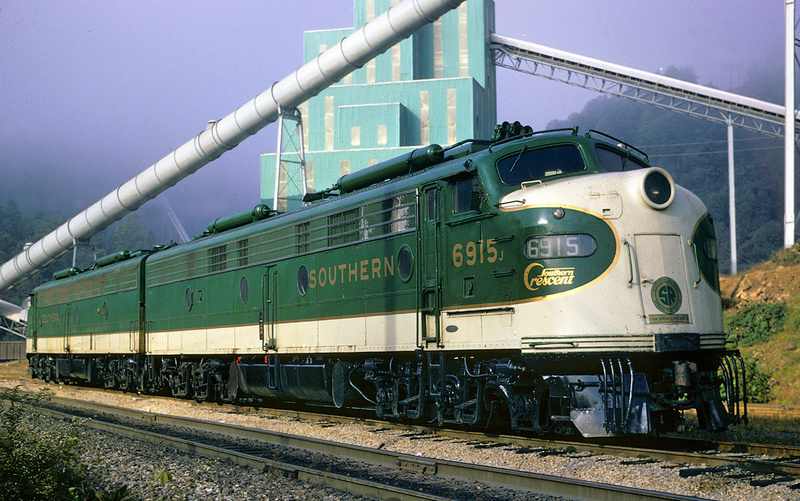 The I&N was another feeder branch, running from Scandinavia to nearby Iola (great ambitions had once envisioned a connection with the Minneapolis, St. Paul & Sault Ste. 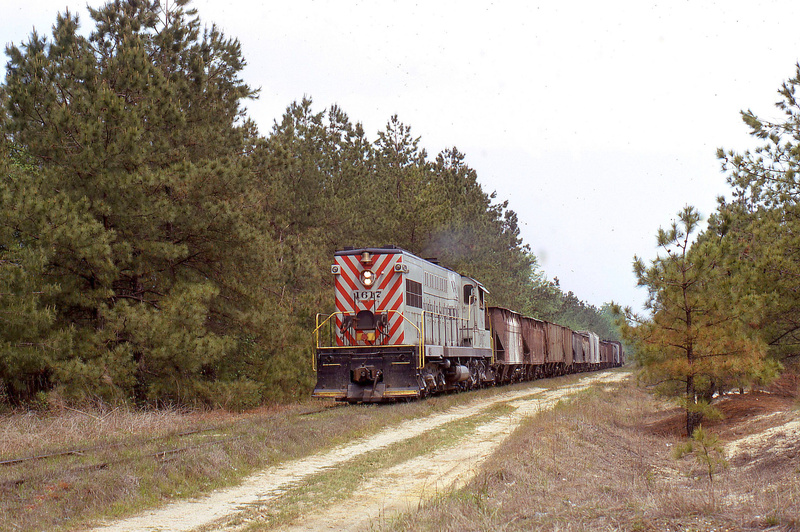 Marie [Soo Line] in northern Wisconsin) with traffic based in potatoes, flour, wood products, and general merchandise. It was long controlled by the GB&W and formally purchased on December 28, 1914. Scandinavia was also the junction of another branch built as the Waupaca-Green Bay Railway. The W-GB, built entirely without GB&W assistance, was an artery long-sought by the town of Waupaca. 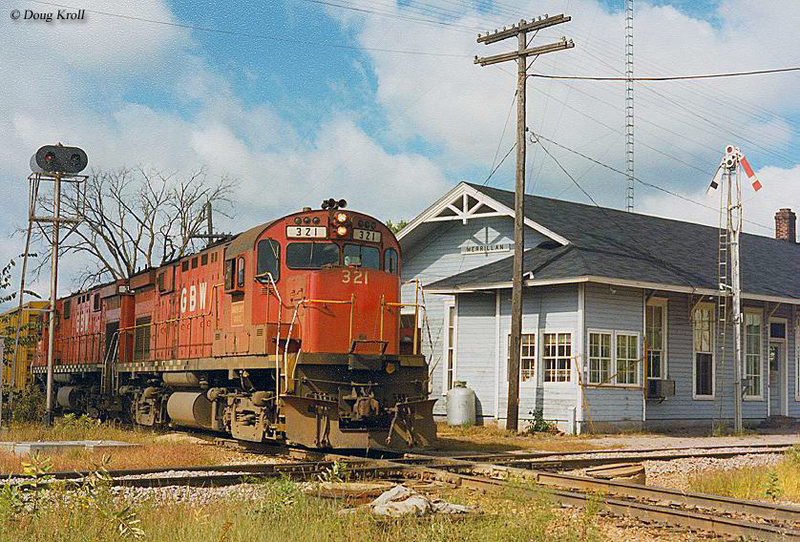 The community already enjoyed a rail connection via the Wisconsin Central (Soo Line). However, unhappy with this service the W-GB was established and officially incorporated on January 8, 1907. The 9.8-mile line wound its way northward to a connection with the GB&W, opening on January 15th. From the start the little pike struggled as its potato traffic simply could not generate a healthy profit. After entering receivership it was purchased by the GB&W at foreclosure on December 15, 1921. A railroad that probably should have never been built the Waupaca Branch was abandoned at an early date in 1947. 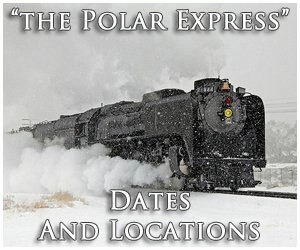 With the Green Bay & Lake Pepin's completion from Green Bay to New London during December of 1871, regular mixed-train service commenced the following January. When the line was finished to the Mississippi River two years later (December, 1873) regular service began to that point in January of 1874. Not surprisingly, this business never derived a great deal of revenue for the railroad. 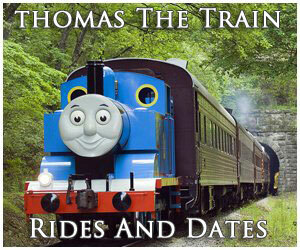 It occasionally ran specials for local county fairs or tourist excursions. In addition, for a brief period following the Ahnapee & Western's completion, Pullman sleepers could be enjoyed from Chicago to Sturgeon Bay. 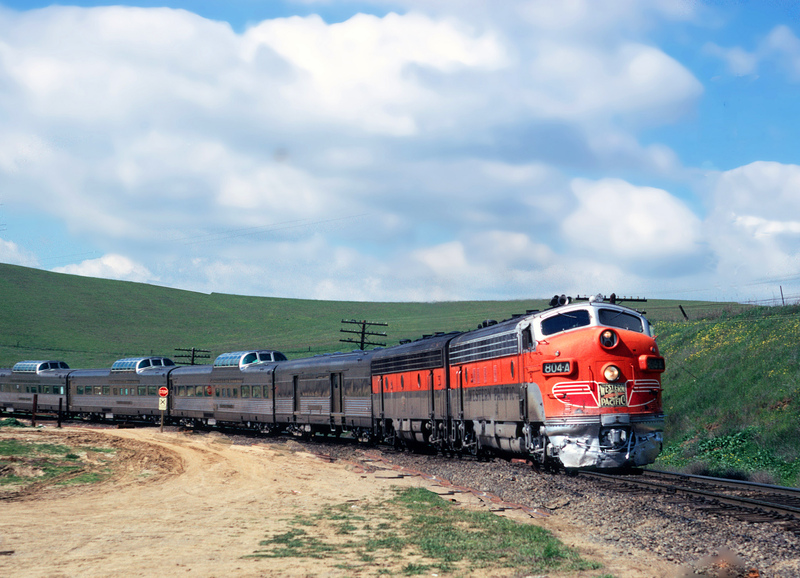 Even during the robust World War II years, passenger business only accounted for $8,000 in annual revenue at which time the railroad began petitioning to discontinue all service. By the spring of 1944 dedicated passenger trains were shuttered, replaced with mixed-service only. This lasted a few more years until the final run occurred without much fanfare on April 14, 1949. 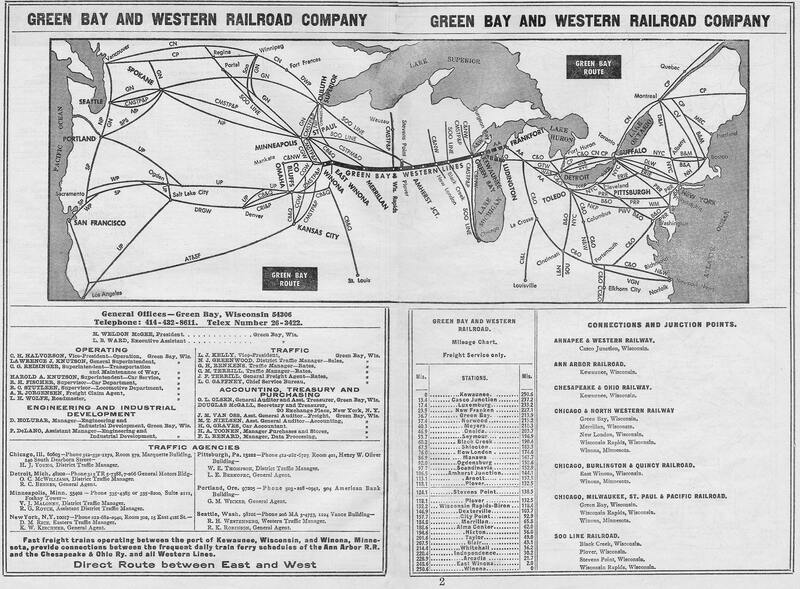 The Modern "Green Bay Route"
The Green Bay Route reached its full potential in 1934 under President Homer McGee, who remained at the helm for 28 years. He oversaw vast improvements, particularly in the areas of infrastructure, property, and equipment. After increasing speeds to over 50 mph he phased out steam locomotives with more efficient diesels from American Locomotive. With a low operation ratio in the 60's, profitable carfloat business, and great leadership the GB&W maintained success throughout the mid-20th century. Its first diesel arrived in 1938 (an early Alco switcher) although main line power did not appear until a batch of FA-1's were delivered between 1947 and 1949. 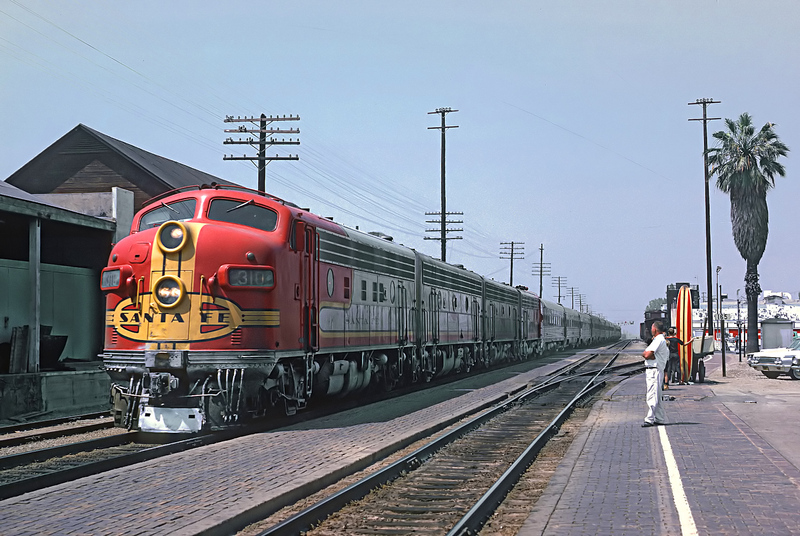 As more arrived the iron horse bid its farewell on April 21, 1950 when 2-8-0 #351 made its final run between Arcadia and Green Bay. In a piece entitled, "Brief On The Green Bay Route" from the September, 1942 issue of Trains Magazine, the article explains how the railroad managed to survive the 20th century transition; until 1920 it had operated predominantly as a short-haul carrier with 71% of freight generating and terminating on-line. However, by World War II this had fallen to less than 20% as it pivoted to a bridge route handling through traffic from Kewaunee to the Winona interchange (traffic was quite varied, ranging from auto-parts, milk, and perishables to wood products, coal, and general merchandise). This ability to adapt in changing times served the company well for nearly a century. For many railfans, the GB&W is most fondly remembered in the postwar, diesel era where burbling Alco's could be seen throughout its system. 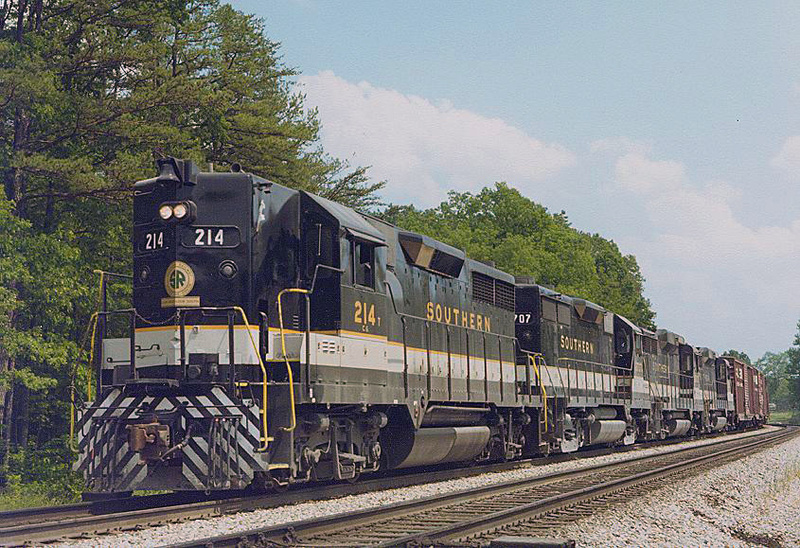 The railroad went on to roster a range of Schenectady products, from S-1's to C-424's. They originally wore an attractive red livery with a wide grey stripe and black pinstriping. This was later replaced with a simplified "red dip" scheme featuring white lettering and numerals. During the uncertain 1970's, GB&W's fortunes took a turn for the worse. That decade witnessed many bankruptcies while other carriers sought merger partners. These efforts, coupled with rising costs and new environmental regulations, threatened its vitally important car ferry service. Perhaps it was inevitable then that on October 8, 1970 the Chesapeake & Ohio (Pere Marquette's successor) petitioned the Interstate Commerce Commission (ICC) to discontinue its Ludington-Kewaunee service. A similar request was soon brought forth by Ann Arbor. In a time before deregulation, the ICC denied both due to the potential harm such actions would cause the GB&W. 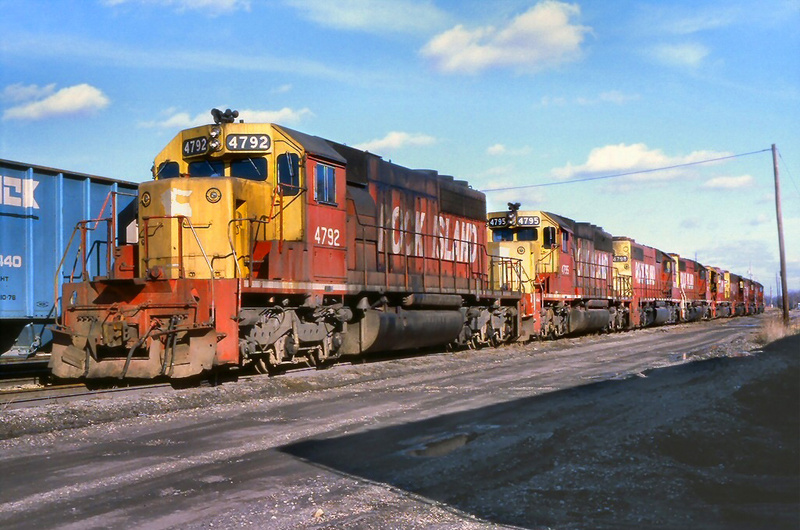 After the AA, which had entered bankruptcy proceedings, threatened total shutdown, its service was operated with state subsidy after 1977 via new start up short line, Michigan Interstate Railway. However, costs again proved too high and ferries from Frankfort stopped altogether after April 5, 1982. 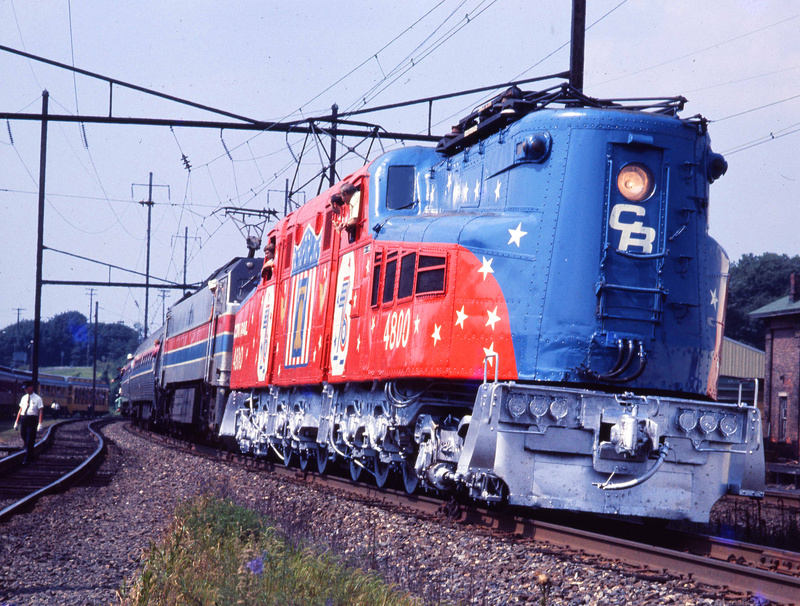 The C&O service was later taken over by Michigan-Wisconsin Transportation Company, another state subsidized affair. It continued running throughout much of the 1980's albeit dispatching only one carfloat daily. 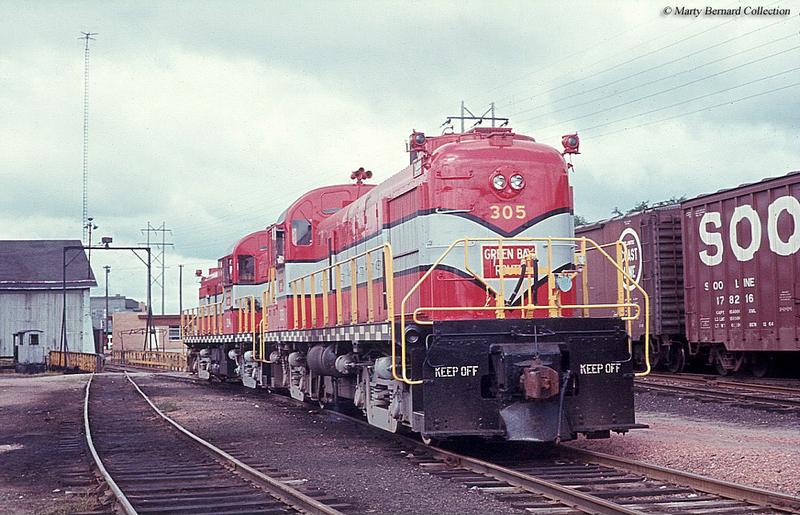 * Ex-Long Island Railroad #208, leased by the GB&W between 2/1964 and 10/1979. ** Ex-Southern Pacific #1201, leased by the GB&W between 4/1979 and 7/1979. * Built as Wisconsin Central #65 in 1885. ** Built as Chicago, Peoria & St. Louis #72. *** #80 built as New York Central #313 in 3/1900; #90 built as Lake Shore & Michigan Southern #4438 in 8/1905; #91 built as Lake Shore & Michigan Southern #4449 in 8/1905. **** Built as Chicago & Alton 2-6-0 #320 in 10/1899, later rebuilt as an 0-6-0. The GB&W returned it to a 2-6-0 arrangement in June of 1935. The 1970's also witnessed a flurry of interested regarding GB&W's acquisition. 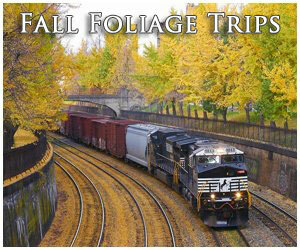 It all began when the railroad contemplated selling out to Burlington Northern. This move brought forth offers from all surrounding Class I's, fearful that the Green Giant's reach deep into their territories would prove detrimental to business. They included Chicago & North Western, Soo Line and Milwaukee Road. Interestingly, it was a non-railroad firm, Itel Corporation, which came out as the winning bidder in late December of 1977. Itel did its best to maintain GB&W's position but traffic losses could not be stopped. By 1990 car ferries had ceased entirely and the railroad was nearly destitute. 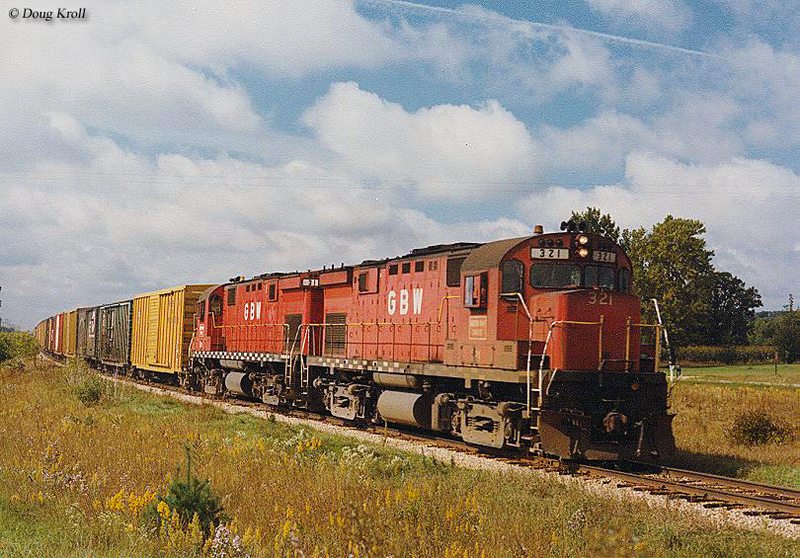 According to Steve Glischinski and J. David Ingles' article, "A Time Of Transportation" from the May, 1994 issue of Trains Magazine, with its fortunes not improving the GB&W was purchased by the Fox Valley & Western Railroad in August of 1993, a subsidiary of the new Wisconsin Central system (Wisconsin Central, Ltd.). The WC was a growing regional launched in 1987 and spent much of the 1990's abandoning segments of the GB&W system. In 2001 the WC itself was purchased by the Canadian National Railway. Today, most of the eastern GB&W network is abandoned although segments to the west are still in operation.